Install energy-generating solar panels and rainwater-savings systems on the rooftops of their buildings. This resolution deals with issues that can help abate climate change through action in Israel, such as by requiring the Congress itself and the travel of its participants to be carbon offset through carbon-mitigating projects in Israel. This resolution calls for JAFI to incorporate environmental education as part of the immigrant experience. This resolution aims to attempt to better influence Israeli society and make the Congress an exemplar event through its food procurement. Make efforts toward a transition to energy-efficient lighting, such as compact fluorescent and LED bulbs, in all of its offices and buildings. Make efforts to only purchase new vehicles that are alternative-fuel models or that meet high fuel-efficiency standards. Aspire to install energy-generating solar panels and rainwater-savings systems on the rooftops of all of their buildings, and paint the remainder of the rooftops white. To bring Herzl's dream of "Medina HaMofet" — a model nation — to reality, Congress organizers shall be committed to developing and/or supporting carbon-mitigating projects in Israel as a major platform, ideally offsetting the transportation emissions of all Congressional delegations through carbon-mitigating projects in Israel, such as JNF's Go Neutral program and the Good Energy Initiative. Congress organizers shall ensure good environmental practices, by reducing, recycling and composting waste generated, providing sustainable modes of transport for participants and carbon offsetting the Congress through carbon-mitigating projects in Israel, such as JNF's Go Neutral program and the Good Energy Initiative. Jewish environmental education and supporting local agriculture is recognized globally as important within the Jewish community. 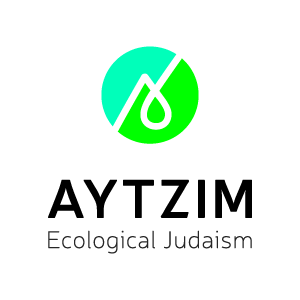 The Congress urges the WZO and all its partners in Jewish/Zionist education, both in Israel and the rest of the world, to include and enhance the teaching of environmental threats facing Israel and the rest of the world. BE IT HEREBY RESOLVED THAT Zionist representatives on the JAFI board of governors shall work toward incorporating education about the environment and sustainability of the land into the immigrant experience at absorption centers run by JAFI, and that they work toward developing gardens at JAFI absorption centers for immigrants to connect with the land and grow their own fruits and vegetables. Provide on-site compost bins where compostable material can be collected and delivered to composting sites.